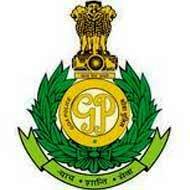 Goa Police has declared the results of written examination conducted on 27-01-2013 for the recruitment of police constables (Armed Police) in 3rd India Reserve Battalion. Candidates appeared in this exam can check their results on the official website www.goapolice.gov.in. Wish you all the best and have a good results ahead. Keep visiting freshersplus.com for more updates on exam results and job vacancies.